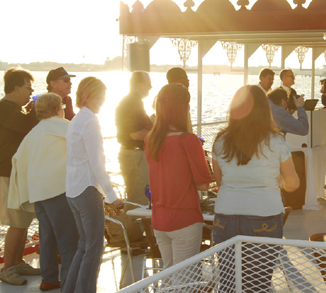 Romance, history, and roaring good fun is yours when you book your private charter celebration on the Carrie B Showboat! Reminiscent of the majestic river boats that traveled the Mississippi River during the 19th century, the Carrie B Showboat is a modernized replica of an authentic paddle wheeler with all the modern conveniences to make your event spectacular. 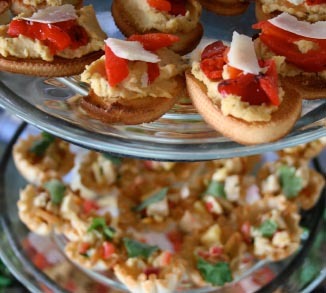 Featuring a first-class, climate controlled lower deck with seated dining capability and a spacious open-air upper deck, we can accommodate a wide variety of private charters and special events. Experience the spectacular city skylines and breathtaking sights of local waters—all from a unique vantage point. 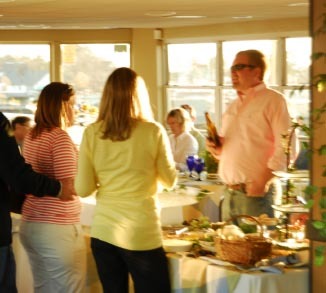 We can pick you and your group from a number of locations throughout Hampton Roads and Southeast, Virginia. Whether you’re looking for a Norfolk charter, a Portsmouth party boat, or a corporate event out of Hampton, you’re guests will be thrilled with the choice of the Carrie B Showboat. Carrie B Cruises has been family owned and operated since 1959, providing thrilling and memorable cruises to more than one million people! In addition to Norfolk private charters, we have a sister boat providing sightseeing cruises and private charters in Ft. Lauderdale, Florida, where you will see the yachts and homes of the rich and famous from the famous waterways of the Venice of America.